Why do you feel like sleeping right after a meal? People often claim to have gotten tired after a meal but just eating could not possibly get someone tired, can it?! Although no one can get tired just by eating but indeed it is true that after eating, you feel the need to take a nap. What is the reason behind it? 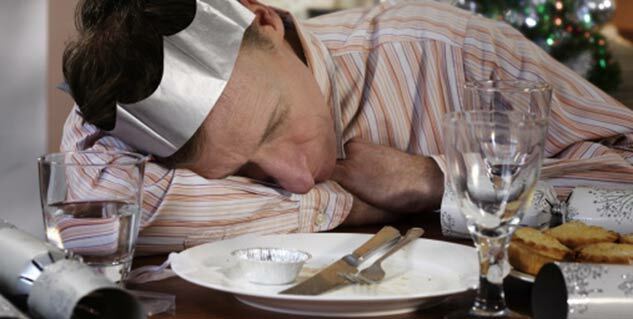 A new study has revealed that the salt and protein present in a meal is the reason behind the post-feast sleepiness. The study also reveals that apart from the salt and protein, the quantity of food triggers post-feast sleepiness. The researchers used fruit flies but flies had different sleeping pattern. The flies slept for briefer periods throughout the day and night but still the researchers were able to get some insight about the post-feast snoozing. The fruit flies were fed high-protein and large meals and they slept twice as much in a 40-minute period after a meal. The meals with high salt increased the amount of sleep. They also fed high on sugar meals to flies but that did not change the sleep pattern of sleep post meal. The research also revealed that there are some special brain circuits that cause the craving for post-meal naps. The food coma was not that strong in evening but it was stronger in the morning, which suggests that cardiac rhythm is also an important factor. So, next time you feel the need to doze after a meal, the salt and protein in your meal is to be blamed.